1. How did Joelle’s upbringing in a commune influence the person she became as an adult? What are her unique strengths and weaknesses and how do you think they are—or are not—tied to the way she was raised? 2. Discuss Carlynn and Lisbeth’s upbringing. What made Delora the sort of mother she was and how did that impact her twin daughters? What do you think their future would have been like if their father had lived? 3. In addition to being the catalyst for bringing Carlynn and Joelle together again, what role do you think Mara plays in the story? 4. Discuss the unique type of grief Liam and Joelle and Sheila are experiencing with regard to Mara. The vibrant, healthy woman they knew and loved is lost to them but still living. How is this different from grieving someone who has died? How would you feel if you were in Liam’s position? How would those feelings influence you in your professional and personal life? 5. How do you feel about the fact that Joelle and Liam gave in to their attraction to one another? 6. 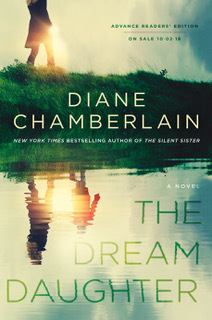 As an old woman, Carlynn is haunted by the accident that forever changed her life. When and how did you figure out her secret? Why do you think she went along with Alan and Gabriel’s plan? 7. Do you believe that Carlynn could actually heal people? What are your own beliefs about healing? What characters do you think were truly healed in this story and how? 8. Discuss the ways in which Joelle might be the true healer in this story. 9. Joelle’s love for Liam is so strong that she wants to find a way to give him back his wife even though that would mean losing him for herself. Can you think of real-life examples of this sort of deep love? Could you imagine yourself in her position? 10. In what ways did each character grow and change during the course of the story? Who do you think underwent the greatest growth and why? What do you see in the future for this cast of characters?